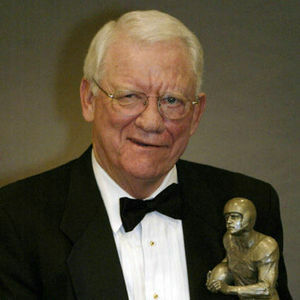 COLLEGE STATION, Texas (AP) - John David Crow, the bruising running back who won the 1957 Heisman Trophy with Texas A&M before a Pro Bowl career in the NFL, has died. He was 79. The university said Crow died Wednesday night surrounded by his family. I've been a football fan since I was 5 years old and being a New York Giant fan I definitely remember when the Giants played the Cardinals in the 60's and what a ..."
"Ma Cherie je suis si fiere de toi , tu as toujours ete une paiossnee et determinee dans tout ce que tu as entreprie , excuse mon Francais , ca fait si longtemps .Ta grand soeur , ta tante , ton amie .LuLubelle"